TBG, as it is called the House of Queens, is definitely a place for the queens. TBG Bridal Store is an online association of bridal artists, designers, and salons exclusive to South Indian Brides. It is a forum brings together the best bridal artists so as to make the bride look like a queen on her wedding day. As soon as the wedding date gets finalised, on one end the bride’s father gets busy doing the bookings for the wedding venue, guest accommodation, etc. ; on the other end the bride ends up being anxious and panicked for arranging the different dresses, makeup and accessories for the different events whether it is the Muhurtam or Kalyanam or the reception. But as the bride, you are not supposed to take any stress of your marriage when a highly popular and trusted online wedding planner like TBG is at your service. Only the top notch and experienced professionals are associated with TBG Bridal Store who’ll take care of all your bridal needs months before the wedding. As to the bridal makeup look is concerned, even here you get to interact with the bridal makeup artist as many times you want to get your desired bridal look. You may go for trial sessions with services like hair styling and makeup, to understand what kind of bridal look will suit you and make you look all the more beautiful. The fashion designer will have regular interaction with you to create the best wedding dress. TBG fashion designers are immensely talented and skilful to gift you most beautiful customised wedding dresses. Once the look of the wedding dress gets finalised you may get your matching accessories from the TBG jewellery rentals. TBG offers more than 100 bridal jewellery on rent. They carry stunning and distinctive work for the bridal attire, specifically designed in South Indian classic and contemporary style. The jewellery can be sent to the home or be collected from the shop. TBG mehendi artist will be there for you bridal mehendi designs on your hands and feet. You may even opt to get celebrity bridal mehendi from the TBG bridal mehendi artist. The TBG poo jadai expert will help you with the bridal poo jadais. The poo jadais will be made out of bright flowers such that they match your wedding outfits. The garland designer will craft exclusive garlands for your varmala or garland exchange ceremony. You can always add your suggestions for the particular flowers of your preference to the TBG garland designer. The TBG photography and videography service will make sure each and every moment of you D-day is being captured to bring out the emotion associated with it. Different customizable packages like the bridal photoshoot, couple photoshoot, pre-wedding photoshoot, candid photoshoot are there for you to choose from. With two to three months’ time to go for your wedding, TBG will take care of your health and fitness via its nutritionist and personal trainer service, so that you get that right shape and health. You’ll be pampered with the doorstep beautician services to get the perfect flawless glowing skin which becomes your utmost requirement at the time of your wedding. Get regular sessions of basic beauty regime involving waxing, threading, manicure, pedicure and lot more. To have a dazzling smile on your wedding picture TBG dentistry service is something you can refer to without any second thoughts. Experienced and professional dentists will sculpt beautiful pearl white smile on your face. As a South Indian bride, once you get in contact with the team of TBG Bridal Store; it becomes their utmost duty to make your wedding memorabilia the best of its kind in every possible way. By availing the Custom Bridal package, you get one and for all answer to your bridal needs. It’s one call for all the bridal needs that includes customisable packages on celebrity makeup, hairstyling, complimentary saree/lehenga draping, bridal jewellery rental, wedding dress designing, bridal mehendi; etc. as per the client requirements. Having specialisation in South Indian weddings and the trust of over 1000+ brides, TBG fits in as the best online bridal store for your South Indian wedding, who’ll be knowing the nitty gritty of your wedding more than you do. So all you need to do is call TBG and hand over your wedding to the team. The difference with TBG is that you just don’t get your wedding dresses arranged as per your linking, special attention is been given to the options provided to you. The garments which you are shown to choose from are shortlisted considering whether you are having a summer/ monsoon/ winter or spring wedding, and are designed by immensely talented fashion designers who are always there to customise your wedding dresses as per your suggestive inputs. TBG has a detailed plan of action exclusively made for the NRI South Indian Brides who have their wedding scheduled in some months’ time. Once the bride contacts TBG, the spokesperson or consultant from TBG arranges multiple sessions of discussions on different bridal services involved in South Indian weddings. Being an NRI bride; TBG takes special initiative to make sure that the discussions over WhatsApp or Skype or another form of video conferences are made as per the time convenience of the bride and in relation to the meantime of her residential country. TBG has gained momentous popularity as a platform that connects a South Indian bride to all her wedding necessities making the event as seamless as possible. Gone are the days when people had to rush to different places for different arrangements. 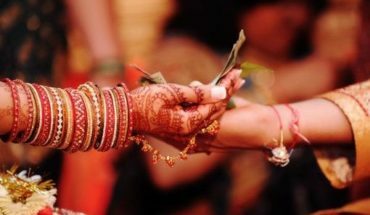 TBG brings together the best of all South Indian wedding arrangements and that too at economic rates. So don’t cough up your savings to expensive wedding planners. Visit the TBG website and get your wedding planned in the best possible way!